Have mercy on me, my God, have mercy on me . . . This is how Psalm 57 starts, which is the next psalm in the series I’m writing on the Psalms in chronological order. 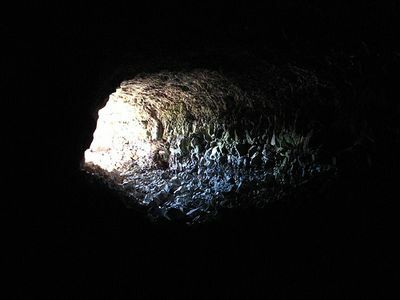 Psalm 57 was written by David when he was holed up a cave, hiding from Saul’s soldiers. I imagine it was real downer to be there, stuck in the dark, cut off from the world. So as David started praying to God there, what did he pray first? Did he catalog all the ways that God should work? No, he begged, “Have mercy on me.” He wanted this so much, he said it twice. This challenges me! I’ve been going nonstop since before Thanksgiving. I have a backlog of unprocessed emotional baggage; feelings screaming for attention. I want to whine and fill God’s ear with requests. But instead, what I need to do is get on my knees, put my face to the ground and remember who I am before the Lord. The only real thing I can ask for is mercy. I am such a Pharisee!! It’s so much about me. I am so preoccupied with trying to do the right thing so I can feel good about myself. More than that, I am so focused on praying for what I think should happen. I exude pride, not humility. Oh, this is what my heart craves, a refuge. But even though I know that it can be found in God, it doesn’t click. So I’m trying to understand how David could so completely and confidently find a safe place in God. guarding him as the apple of his eye. there was not a foreign god in sight. so he could feast on the crops in the fields. oil from granite crags . .
God is like a bird that shelters its young. 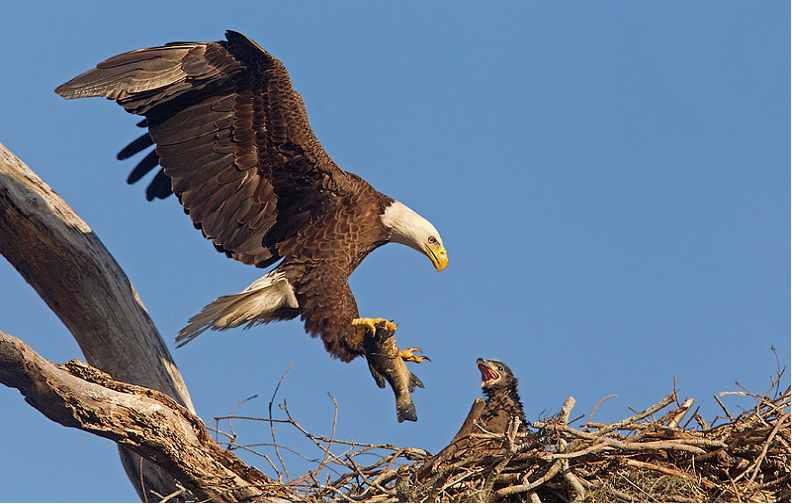 That bird would also be committed to feeding its young and fiercely protecting them. So David knew that God felt a loving responsibility and obligation toward him. He knew God would be there for him. THAT is how he took refuge in God. And that is how I can take refuge in God as well. By learning to believe that God is faithful to me. No matter which translation is correct, they all say that God would act on David’s behalf. I love this thought. God’s not going to just sit in heaven. He’s going to get up and do something for his people. What really helps my heart is knowing that it is God who is doing the work, not me. When I work, I make a mess of things. How wonderful it is that I can come to God and know that he WILL work his good purpose in spite of my mucking about! But the thing is, for God to work, I have to first humble myself, as David did. I have to stop thinking I know how things should be done. I have to vacate my own refuge, my own way of trying to control and make the world safe, and make God my refuge in every way. It’s sort of like the story of the three pigs. I need to leave my house of sticks and go to the house of bricks! I tend to be overwhelmed. I think about all that’s going wrong, all that needs to change, all that needs to be done. On one hand, I come up with plans to fix it, and on the other, I despair because my efforts seem to have bungled things. How much I need peace! The irony is that I need a refuge because I haven’t made God my refuge. When will I learn that true peace comes from humility, not performance? It comes from surrender, emptying myself before God, and having faith that he will work. Eighteen years ago today, my mother passed away. Even after all these years, I am unutterably sad and miss her so much. My mother was such a bright light in my life. I felt like I was different and didn’t fit in, but she got me. She thought I hung the moon. She thought my children were awesome. She always saw the best in others. She made my burdens lighter, both by pitching in and helping, and by making me feel better when I felt down. It’s so hard to not have that anymore. Today is the funeral for my dad’s brother, Uncle Bill. He was a special person in my life, and I know he meant the world to his family. He raised not only his daughter, but was really a big part of raising his granddaughter and his two great grandchildren. Life can be devastating at times. It can feel like our heart is getting raked over ground glass. Be merciful to me, my god. For my enemies are in hot pursuit; all day long they press their attack. . .
All day long they twist my words; all their schemes are for my ruin. They conspire, they lurk, they watch my steps, hoping to take my life. . .
Record my misery; list my tears on your scroll — are they not in your record? This Psalm was written at the same time as the last psalm I wrote about, Ps. 34. David was fleeing Saul’s soldiers, and ended up in Gath, which was a Philistine kingdom. The servants of the king there recognized who he was, so, in desperation, he started acting crazy. His ploy worked, and by God’s grace, he was allowed to go on his way. David recorded what he was feeling as he went through this: sorrowful, betrayed, cornered, mistreated. Emotions to which we can all relate. I am under vows to you, my God; I will present my thank offerings to you. I love these verses! They encourage my heart. We HAVE to pray with thanksgiving, no matter how tough the situation is. More than that, we need to give thank offerings. Our life needs to be one of constant service, because we are so grateful for God and what he has done, even though we feel miserable at the present time. Right now, at Christmas, we are feeling all warm and fuzzy at the birth of Jesus. We think of the stable, the star, the shepherds and wise men. Yet when the wise men came, they set in motion a terrible situation. Herod found out from them that a Jewish king was being born, and to eliminate a threat to the throne, he put all of the boys ages two and under to death. God rescued Jesus from this massacre, but it was a tragic time. There always seems to be a juxtaposition of deliverance and tragedy. There are always blessings in the midst of adversity. If we are alive today, we must be thankful. We can think of all we’ve lost, and it is unbearably painful. Yet somehow through all of it, we know that God is also good. We can see the milestones of his goodness in our life. I’ve had times when I could have died. I almost drowned when I was young. When I was in college. I was leaning over, trying to use a staple gun, and it wouldn’t work, and then I discovered it was upside down, and if it had been working, I would have shot myself in the head. It still gives me a cold feeling to think about it. That is my job today, to walk with God in this vibrant vitality that we call life. To walk with grace. To honor my mother, my uncle, and all whose stories are complete. I pray that the chapter God and I write today will be a good one. And I pray that amidst my grief, and troubles and worries, I find the vein of God’s goodness, and cling to it, as David did, in trembling soberness and purposeful gratitude. Outside my front door, my camellias are blooming. It’s winter, and much of the vegetation is dead. Yet they are alive and bursting with beauty. That’s what God calls me to do today: be alive and beautiful, even as I mourn. I don’t know if I have tomorrow. But God has given me this time and I vow to make the best of it. I am trying to imagine how hard it must have been for David when Saul started trying to kill him. Here was the king he was serving and doing everything for. He led armies into battle and won great victories for Saul. He became best friends with Saul’s son, Jonathan. He married Saul’s daughter, Michal. Everything was going wonderfully. But then Saul got eaten up with fear and jealousy. So Saul sought to have David killed. Michal helped David escape and David started living a life of being on the run. Deliver me from my enemies, O God; be my fortress against those who are attacking me. How tough it must have been to have his own countrymen turn against him. There must have been soldiers seeking him that David knew personally. It must have felt like such a betrayal. This was the king he had pledged to serve. This was his father in law. He had done nothing wrong. Yet the king ordered his men to find David and put him to death. Look at the wording David used — attacking me, after my blood, lie in wait for me, conspire against me. He felt like he was under a constant mortal threat. And he felt like the world had gone topsy-turvy. One minute he was leading men into battle and living in the palace. The next he was a fugitive. David sang of God. He sang because he knew God loved him. He sang because he knew God would protect him. In the end, David lived by faith. It was faith that helped him survive and face the perils of the day. And the same is true for me. I can relate to David’s life at this time in a way. God hasn’t acted in the way I thought he would. I’ve given my life to serve him. Yet I’m not in the place I thought I would be. I feel cynical and jaded. So, just like it was with David, it is only faith that will get me through. Whatever I accomplish in my life, will be accomplished, from start to finish, by faith. Let me start living that way today!